If you're new to social media and have been wondering how those beautiful social media posts you see are created, in most cases the answer is Canva! 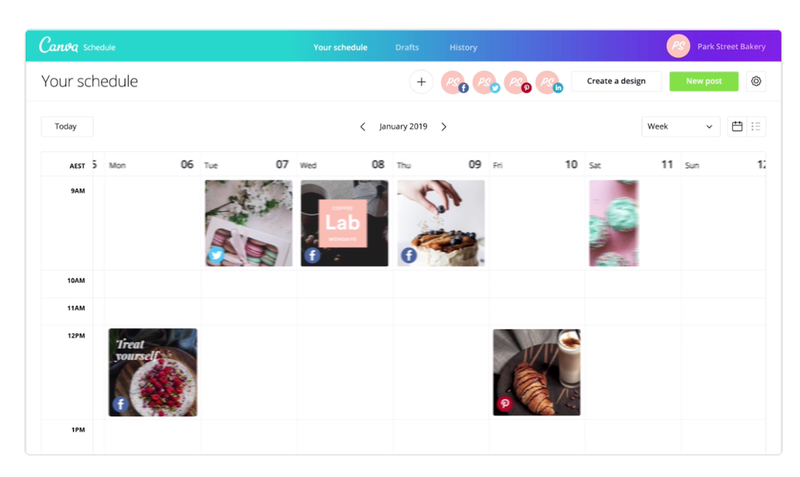 Well, Canva just went 2.0 and you're going to LOVE it! As a Canva Certified Creative, i've spent the last few weeks testing their new look and features and it's been really exciting! While there are numerous new features to choose from, this article talks about 3 of my favourite that are perfect for what I do: creating great social media graphics for my clients and my own brand. As someone who found Canva by searching for 'Photoshop' alternatives nearly 4 years ago, I can't tell you how much time it's helped me save. I remember sitting at my laptop years ago looking for inspiration online, watching YouTube videos to help me create visually pleasing company profiles, newsletters, posters, media kits and brochures using Adobe's Photoshop and Illustrator. While being a graphic designer has never been my forte or the large chunk of my job, i've always wanted the marketing content I create to have a creative flair to it, an aesthetically pleasing flair might I add. What used to take me hours, sometimes days, now takes me much less time and it shows in the social media graphics and promotional materials I create for my clients, so it's no surprise I was thrilled to be a Canva Certified Creative. The platform has come a long way since they began 5 years ago and a lot has changed as they evolve to provide us with a platform with unlimited design options, speed and a beautiful UI. They've added a nifty homepage search bar so you can easily start designing your next post in even less time than before. Yes, you read right! Cut your work time down and save hard drive space with this cool new feature! Working on a social media design that you need to post to Facebook, LinkedIn or Twitter right away? Publish directly from Canva! But not anymore! I no longer have to take that added step and can schedule all my personally designed graphics right from Canva. My hard drive is definitely far more pleased than I am. I used Canva to publish to my Facebook page and my post reach was incredible. This brings me to my third favourite feature which ties in quite well with the PUBLISH feature. It's no secret that Buffer is my absolutely favourite scheduling tool. While Canva won't be in direct competition to how I use Buffer and what I use it for, I am extremely excited about this feature. I love how easy it is to use. With Canva's schedule option, my work flow is more efficient as I get to skip a couple of steps. I have so far scheduled to Facebook as I mentioned above, used it for Twitter, Pinterest and will be using it for LinkedIn later today. This feature is slowly being rolled out to users, but will soon be available to all Canva for Work users. Well, there you have it. Three of my favourite new features. Give them a try and tell me which are your favourite new features and if you enjoyed this post, you’re welcome to share it with your network. Thank you! Older PostHave you heard? We’re offering a complimentary social media audit: What is it and why do you need it?